Anna Lou of London first contacted me to introduce me to their range of jewellery gifts for fashionable Mums back in early March, in the run up to Mother's day. At the time, I scoffed a little and thought "pah, what's the likelihood of me getting anything like this for Mother's day?" Anna Lou sent me a little gift of my own for mother's day and I loved it. Loved it so much in fact that Mr. B. could obviously tell how taken I was with it and he took it upon himself to buy me a little Anna Lou addition as a wedding anniversary present. Maybe I shouldn't have scoffed at the thought?! My favourite pieces from the jewellery collection at Anna Lou of London are the bracelets. I've been on the lookout for a set of striking bracelets for well over a year and until now I had never seen anything which quite captured my mellow, casual mood while still feeling special. 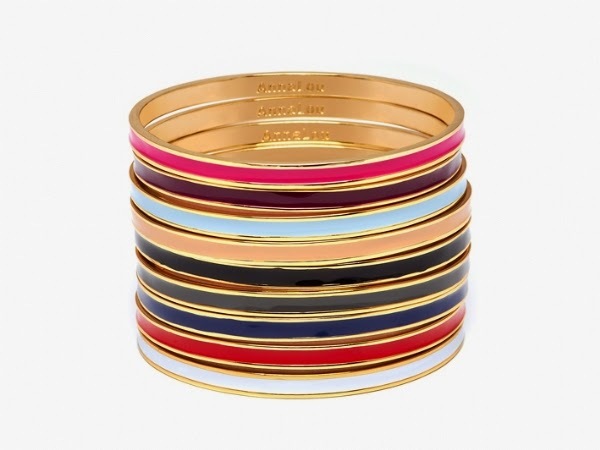 When I saw these brightly coloured stacking enameled bangles I knew they would be perfect, and so it seems, did Mr. B. 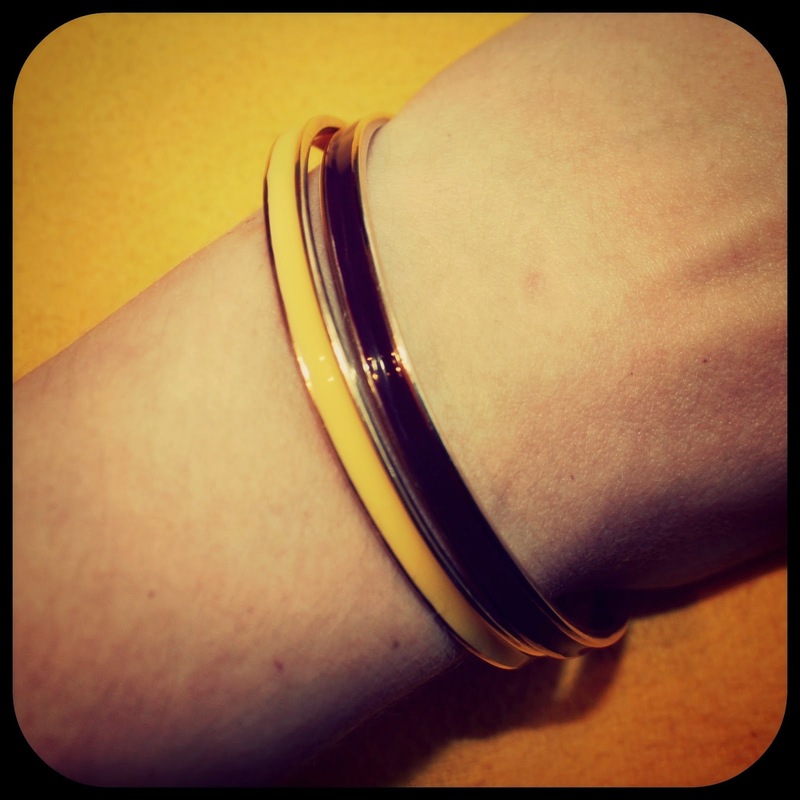 Each bangle is about 5mm thick with a golden trim. There are a series of bold bright colours available at any one time to collect. Each bangle costs £32. I love the gentle jangle of them on my wrist and I like the idea of building on my collection, depending on my mood. A new bracelet for the stack will make a great gift for me on several special occasions over the coming years! I am also very taken with this Chevron bangle which can also be stacked in different blocks of colours. There are currently about 8 different colours available - from brights to pastels as well as muted dark colours to choose from. 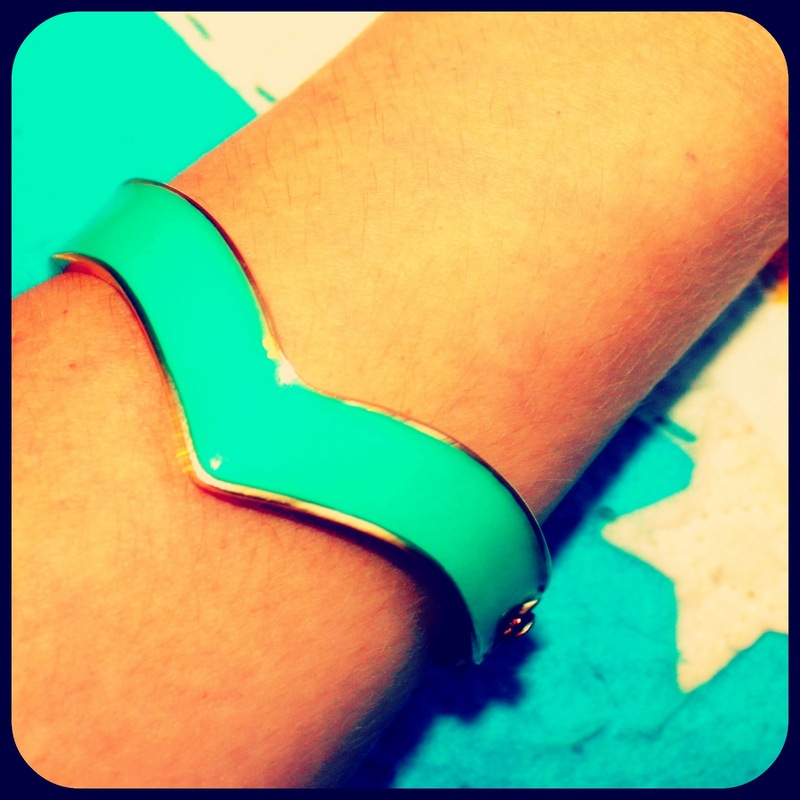 The Chevron bangle features a 14kt golden vermeil enamel with a button clasp. I think its beautiful... the only problem being that I'm going to need more! Each Chevron bangle costs £45. So far I've worn my Anna Lou of London pieces at work (both smart and casual) and out for dinner as well as just pootling around the house.